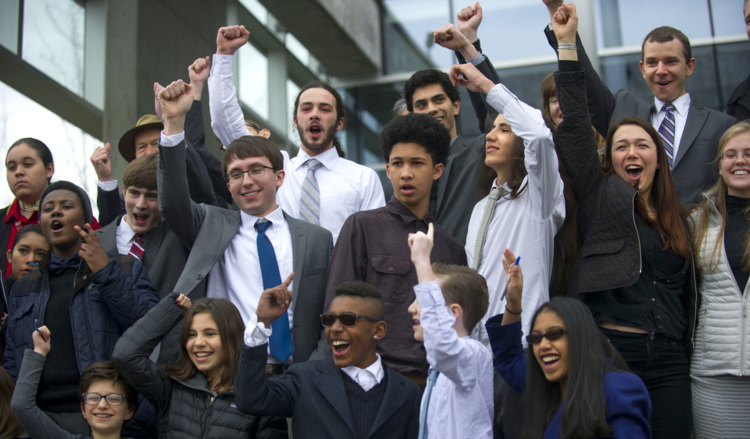 Federal Judge Ann Aiken heard from attorneys Tuesday in a case that 21 young people have brought against the Obama Administration over climate change. the audience for the hearing overflowed into two other rooms at the Eugene Federal Courthouse and in courtrooms in Portland. 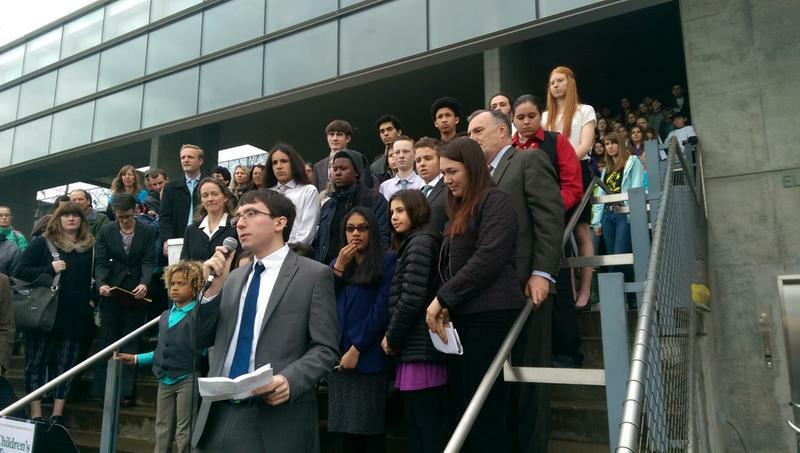 After the hearing, youth plaintiffs and their lawyers rallied and held a press conference on the steps of the Federal Courthouse in Eugene. Attorneys for the federal government and fossil fuel industry groups argued for dismissal of the case. Sean Duffy, with the Justice Department, acknowledged climate change is real and human caused. But he said the judicial system is not the right forum to push for more action to cut carbon emissions. 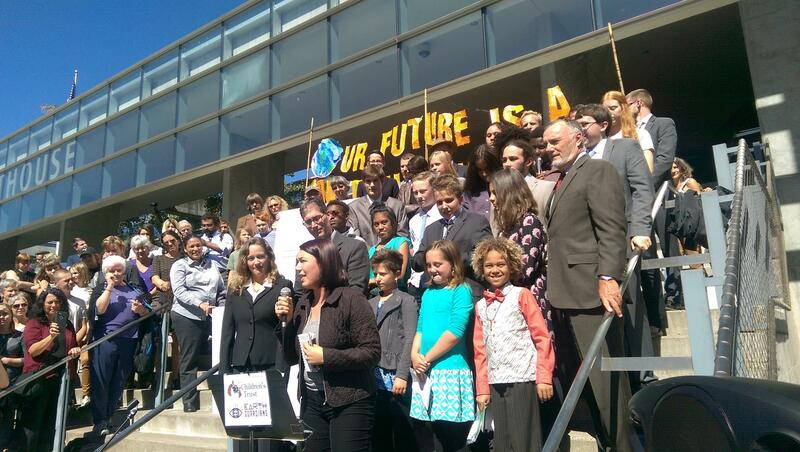 Attorney Julia Olson, with Our Children’s Trust, represents the youth plaintiffs. She said when Congress and the Executive branch aren’t doing enough it’s up to the Judicial branch to step in—decisions which ended segregation established marriage equality. 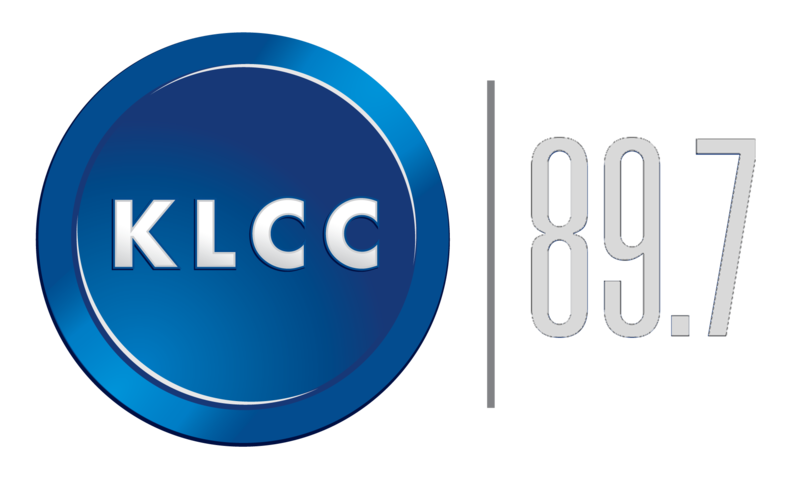 Olson pointed out that the federal government has known for decades that carbon emissions cause climate change. By not acting to reduce U.S. dependence on fossil fuels, Olson says, the government has willfully endangered future generations. Judge Ann Aiken will issue a decision within 60 days. If she rules in favor of the plaintiffs the case could go to trial or settlement.